What's new in knitting? Read Cast On and find out! 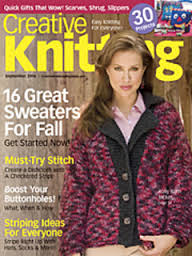 The official publication of the Knitting Guild Association, Cast On is published quarterly and each colorful issue is packed with innovative designs, great technical articles and news about and for knitters from around the world.